Striata Spotlight News The Mobile Email Revolution: Are you ready for it? Alison Treadaway, managing director at Striata, a global leader in paperless communication, identifies seven ways to ensure your emails get read on mobile devices. 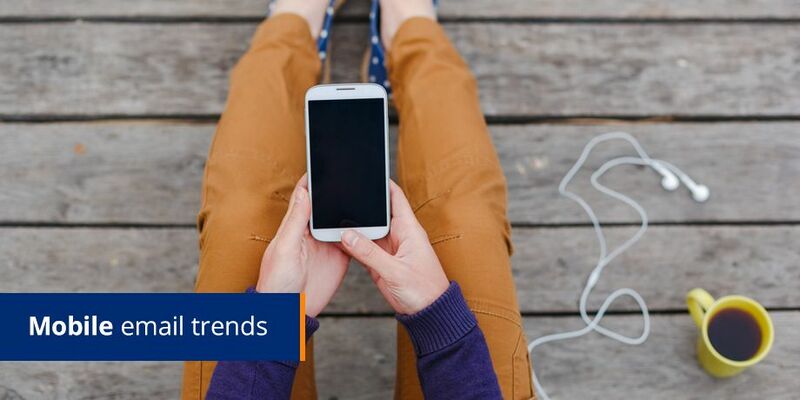 “It is evident that the mobile email revolution is upon us, as the percentage of people reading email on mobile devices is on the increase,” says Treadaway. 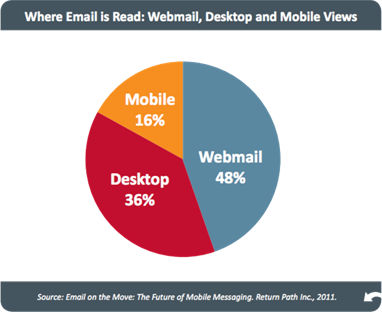 A recent survey by Return Path confirms that a significant portion of email users are managing their email on a mobile device (see graph below). Treadaway goes on to say that in South Africa, the Mobile Email Revolution is set to advance rapidly, as there are almost six times as many mobile phone users than Internet users. 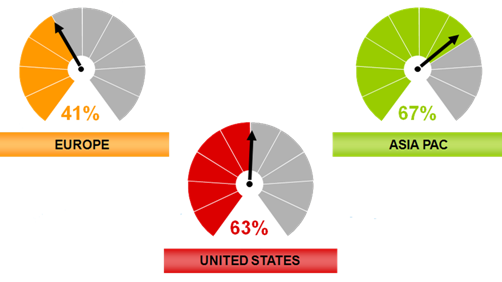 By 2014, it’s expected that SA will have 80% penetration of Smartphones compared to less than 50% in the USA. Best practice in email communication in the age of the PC and Laptop encouraged marketers to design emails in a certain way that optimised readership and conversions. With the increasing popularity of the mobile device for email management, the new motto is – keep it simple. “Remember that mobile interactions happen in the ‘now’ and on the move, unlike other communication media that are fixed and allow for extensive content and complex creative elements. Mobile delivers short bursts of information for an audience that is distracted and busy. People don’t spend long periods reading email on mobile devices; instead they skim, so ensure the key message is immediately obvious,” explains Treadaway. Mobile email open rate is heavily weighted in the morning – dropping significantly during working hours. However, it is important to note that opens don’t always result in clicks or conversions. Clicks increase late afternoon. Consider the aim of your email campaign – this will help you establish the best time to send it. The most important driver of mobile email design is the fact that the screen is small and the reader is distracted. Sender name and subject line become all important, because of the way an email is presented on a Smartphone. Subject lines have to be shorter (as little as 15 characters) to get the message across in a smaller space. A single column design is preferable, so that the reader does not have to scroll left to right. Be frugal with graphics: Large images cause slow downloads and can obstruct the message. Don’t embed images, as they will not show on all mobile devices. Embedded images increase mail size, which impacts on download time. Linked images are the way to go. Links must be easy to click with a “fat finger” on a small screen. Don’t place links close together. Remove fixed width tables to eliminate the scrolling scenario when an email has been designed for a bigger screen. Don’t forget to optimize the pages behind the links too. There is no point having a mobile perfect email and clicking through to a landing page that doesn’t render well. “Ensuring that your emails are designed optimally for mobile devices will not only warrant the success of your mobile marketing campaigns, but will also ensure that your customers have a positive experience with your brand,” says Treadaway.